The statistics are quite striking; even for a small distance Les Bruxellois still prefer to use their car instead of green(er) mobility. However, it may be worth to have a closer look at the reasons behind this mentality. 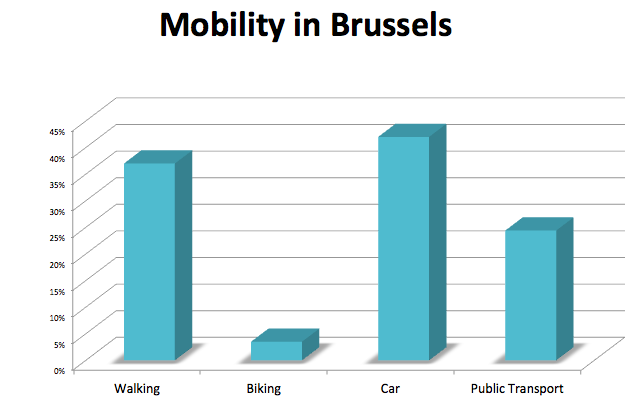 Below I've summed up five doubts and five bummers about biking in Brussels. The doubts incorporate the incentives that still outweigh the use of bikes, let's say the working points. The bummers on the other hand are the fundamentals, the arguments that put a giant 'nay' label on even considering biking in Brussels. Also working points I guess.